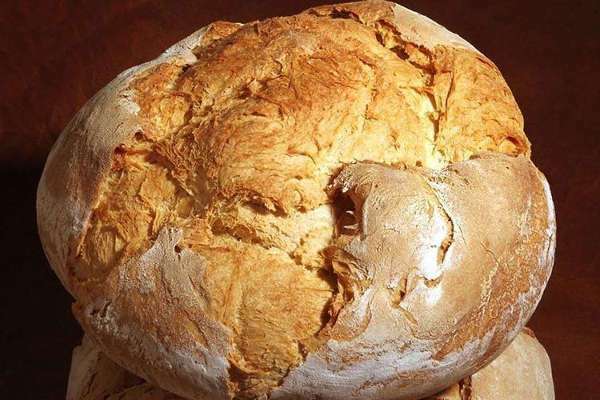 Bread, that food present in almost all cultures, although not necessarily using the blond wheat in its preparation. From the miracle of the loaves and fishes, good part of humanity will be looking for good places where the excellence of both foods is guaranteed. From the best fish restaurants and restaurants specializing in fish we will talk to you another day. Today it’s time to go for bread. Today we will show you the best bakeries in Barcelona. 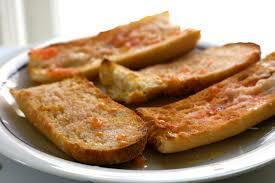 If we talk about the typical bread of Barcelona, we will think about bread with tomato and large bread of pagès. But that the bread and its typologies have become fashionable is a fact. Now the wine has denomination of origin and there are so many types of bread that a pantone could be made. 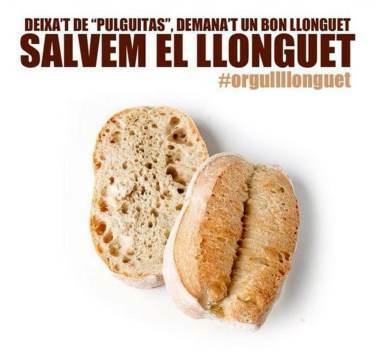 Bakery is an old trade and in Barcelona it has also the honor of having been an office capable of raising citizenship in popular revolts such as those that took place in Barcelona in 1789, motivated by poor harvests and the consequent increase in the price of bread. It is now very pleasant to find families in which the trade is perpetuated from generation to generation as is the case of Eduard Crespo, elected best baker of Barcelona in 2015, and his daughter Georgina who has become the fourth generation. After times when the so-called “machine bread” was raised, we Barcelonians have become accustomed to enduring long queues (especially on weekends) in front of any bakery that hangs the “artisan bread” or “artisan bread” sign. Even the most commercial brands are striving to promote products that they want to attract with labels such as “seeds of gold”, “eight cereals” or “sourdough”. So there are not only bakeries but also bread boutiques or gourmet bakeries in Barcelona such as Turris bakeries created by Xavier Barriga. They are in Gran de Gracia 34, Calvet, 7, Aribau, 158 and so on up to seven. A true atelier of the bakery that is distinguished because all the stores have their workshop in view of the customers. Restaurants have had a lot to do with the increase in variety production and the taste for quality. One of the professionals who best combined bakery and restoration has been Xevi Ramón who leads workplaces such as the Triticum inside the local shop-bar-restaurant of the old Moritz brewery. Whoever wants to taste good bread, good beer, good dishes and also enjoy exhibitions and even musical performances, do not miss this place in Ronda Sant Antoni, 39. As you know in Barcelonina we are very fans of the Barceloneta neighborhood. Among its treasures is the oven Baluard work and grace of the businesswoman and baker Anna Bellsolà. Its bakery located in front of the Barceloneta Market is already a place of worship for the very bakers. Expanding horizons and locations, Bellsolà had the happy idea of opening an establishment on the ground floor of Hotel Praktik Bakery, at 279 Calle Provença. The owners of the hotel were delighted with the smell of fresh bread that was scattered in the corridors of the building. Although we say “they were” because of an unexpected interpretation of the municipal ordinances the establishment was forced to close. The good news is that they plan to open one in a close location. 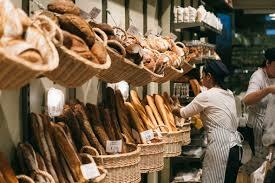 As I’m already making my mouth water and I really need a sandwich or toast of good bread from one of the best bakeries in my city, I think it’s time to tell you about a wonderful, traditional, almost vintage bakery. Located in the small street Calaf, with the same decoration that it had in the forties and the same mastery in making breads, pastries and cocas stands out in my ranking the Forn Roura of José Mª Roura. From a bourgeois neighborhood to worker one. In the neighborhood of Ploblenou, near the mythical horchateria of Tio Che, we find another temple of bread well known in the sector for having brought from France some of the modern techniques of the dough: the forn Cruixent in Pujades street, 173 . In the Eixample we can admire several art nouveay doors from old bakeries. 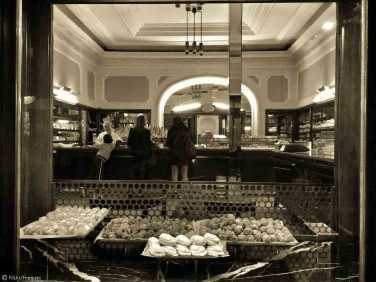 Possibly the best known is the bakery of La Concepción In Girona street, but if you take a walk, you will discover more. In Calle de Sants 117, the Baltá Bakery, which in addition to offering the best bread of the popular neighborhood for years and years, shares its tradition with the innovative idea of Farinetes, a must for lovers of “do-it-yourself” as it is possible to buy what is necessary to make bread in our home. The last recommendation I do not know whether to give it, out of pure selfishness, of course. Forn Puiggrós has two stores on Avenida Gaudí. The closest to the Hospital de Sant Pau is decorated with an exquisite taste and has its workshop in view. The other one is smaller but equally welcoming. But beyond the beauty of the place I must confess that in them they make and sell two of my floury weaknesses: the bread of Vienna, delicate and soft, and the classic and very Catalan “llonguet”, bread to make small snack sandwiches. The latter is only made by order. It is understood that the prayer of the Lord’s Prayer mentions “our daily bread …”. Have I become very religious at the beginning and now again? Okay, since we are in the neighborhood of the Sagrada Familia enjoy the classics of architecture and the classics of the bakery. Enjoy both, dear guests.